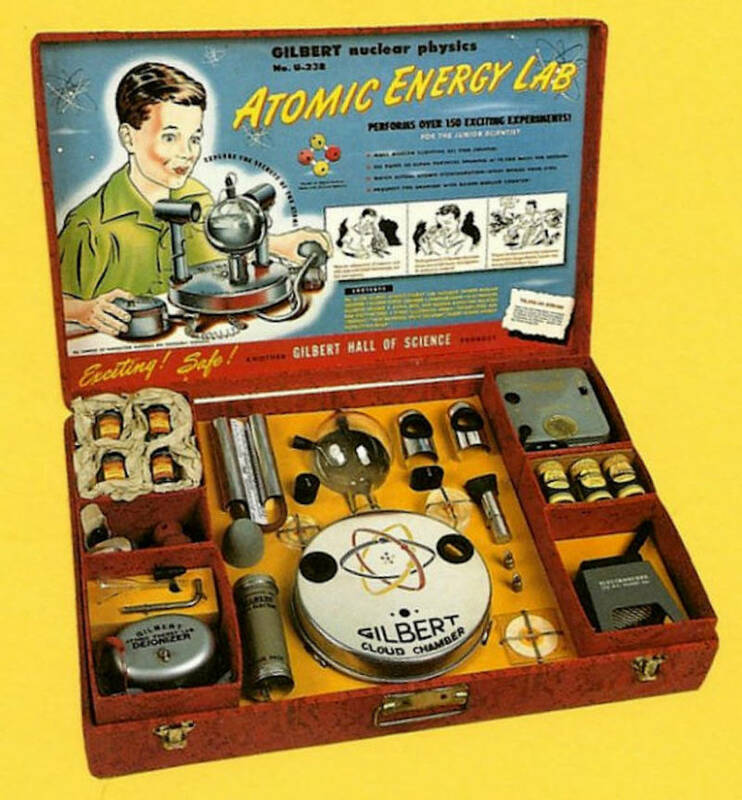 The Gilbert Atomic Energy Lab was one of the more bizarre toys of all time. Webms/ Wikimedia CommonsThe Gilbert Atomic Energy Laboratory. If you follow the news, you know that from time to time a toy will come out that ends up being a little controversial. Maybe it’s full of easy swallowable parts, or lead paint, or in the case of the infamous lawn darts, heavy metal spikes that kids can throw at each other’s skulls. But at least none of those toys can actually fill your living room with radiation. That wasn’t the case for the Gilbert U-238 Atomic Energy Lab. 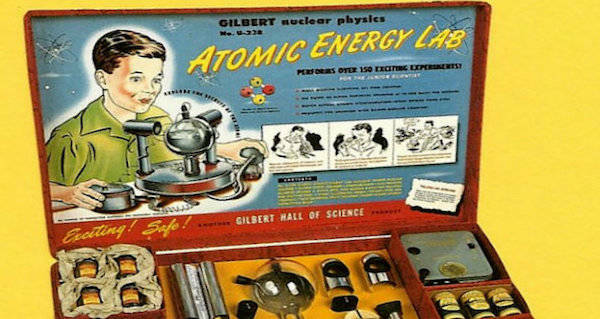 Released by the famous American toymaker Alfred Gilbert’s company, the atomic energy lab was designed to teach kids about science by letting them observe real nuclear fission in the comfort of their homes. Included in the kit were several forms of uranium, which you may recognize as one of the key ingredients in nuclear bombs. And if that wasn’t enough for a good time, the kit also included a Geiger counter for measuring levels of background radiation. Not only would this give you a warning that your homemade nuclear lab was poisoning you, but the manual also suggested the kids could use it for a game of hide and seek. The idea was that children could hide some of their radioactive materials and let their friends find it using the Geiger counter. To be fair to Gilbert, the toy wasn’t actually as dangerous as it sounds. While obviously no amount of radiation is a good thing, the radioactive materials included in the kit were fairly safe to handle. The ores released about as much radiation as you would get from the UV rays from the sun. But the manual did warn kids not to take them out of their protective jars since they might flake apart and spread radiation through the house. The bigger problem with the kit was probably that it was insanely expensive. The company released it in 1950, and it retailed for about $50. Adjusted for inflation, that’s close to $500 today. That’s a pretty steep price tag for the chance to give your kids radiation burns. And that was a real possibility. 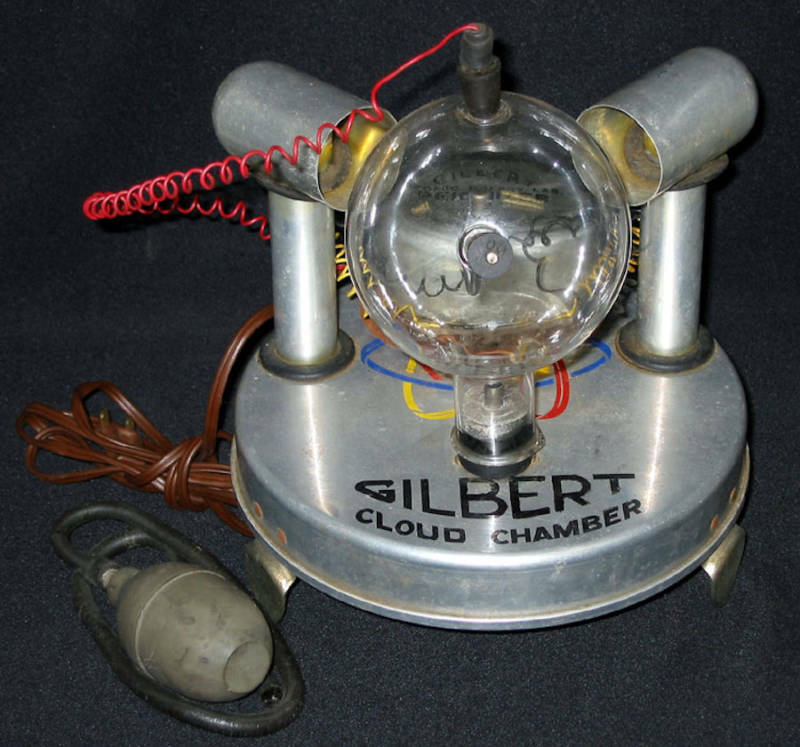 Chemical Heritage Foundation/ Wikimedia CommonsThe cloud chamber included in the kit. In the same way that sitting outside in the sun can give you sunburns, the low-level radiation from the kit could potentially damage the user’s skin if they held it long enough. But Gilbert was confident that the toy would appeal to both kids and their parents. The advertising campaign suggested that it was a good way to get your children interested in a career in nuclear energy. But even with the possibility of steering kids into a lucrative life in nuclear engineering, the kit didn’t sell very well. Even in the 1950s, people understood that you probably didn’t want your children handling uranium. After just two years on the market, the Atomic Energy Lab was quietly pulled from the shelves. All told, Gilbert managed to sell just over 5,000 of them. But if you managed to snag of them back in the day, you might be in luck. The kits have since become collector’s items due to their nostalgic appeal and the low number that was produced. Today, you can sell one of these kits on the internet for almost $2,000. And don’t worry, given the half-life of uranium, the kits should still be usable for the next few billion years. Next, see 25 iconic photos from the 1950s. Then read about the radioactive boars that prevented people from returning to Fukushima.